Is your KitchenAid Blender Coupling, shredded, stripped, worn or missing its rubber prongs? You may need a new KitchenAid Blender coupler 9704230. This blender part mounts atop the motor shaft and drives your blender's blade assembly. 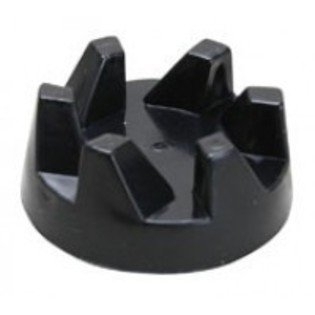 This rubber coupler fits many older KitchenAid Blenders and restores thorough blending performance to your blender. 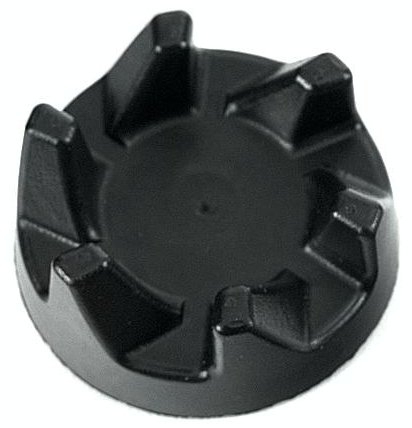 A stripped blender coupling is not difficult to replace, and is a cost-effective way to get your blender blending again. This original Kitchen Aid blender part comes with simple installation instructions.